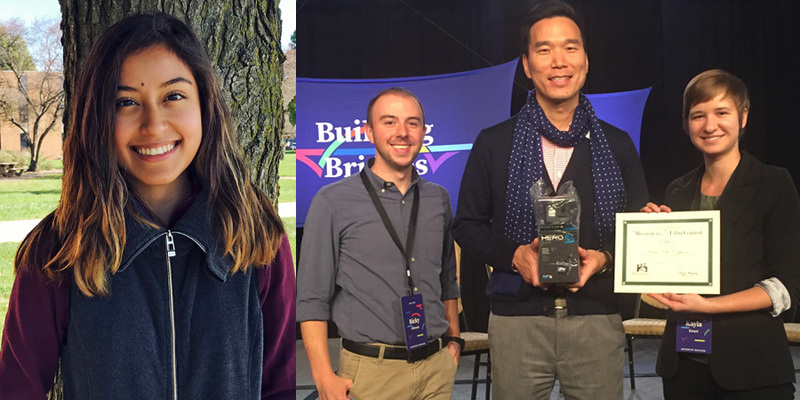 Adventist Mission announces winners in first-ever student film contest. 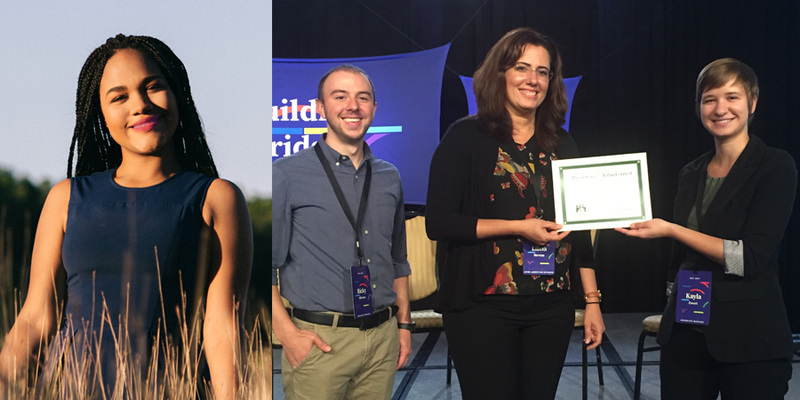 Student filmmakers from the Philippines to the Middle East and Mexico to the United Kingdom sent in their short films, hoping for a chance at the grand prize: an international trip to assist filming a mission story with Adventist Mission’s producers. 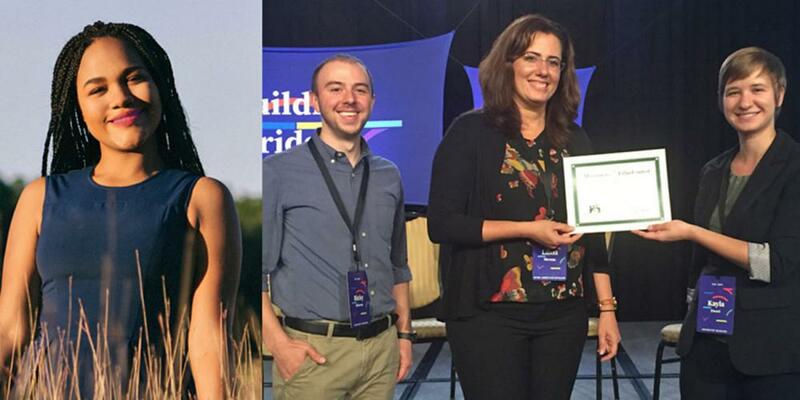 Adventist Mission announced the winners on Thursday, October 19, at the Society of Adventist Communicators conference in Portland, Oregon. Rachel Fortunato, a student at Montemorelos University in Mexico, was the 1st-place winner. Her prize is a film trip with Mission Spotlight. Next year, she’ll travel with Adventist Mission producers and develop her filmmaking skills by helping capture a mission story on location! Libna Stevens, assistant communication director for Inter-American Division, was there to accept the award on her behalf. Madai Villa-Coppiano, a student at Andrews University in the United States, was the 2nd-place winner. Her prize was a GoPro HERO5 camera, which professor Paul Kim accepted on her behalf. Ash-raf Awad, a student at Middle East University in Lebanon, was the 3rd-place winner. He received a Ricoh Theta S Spherical VR camera. 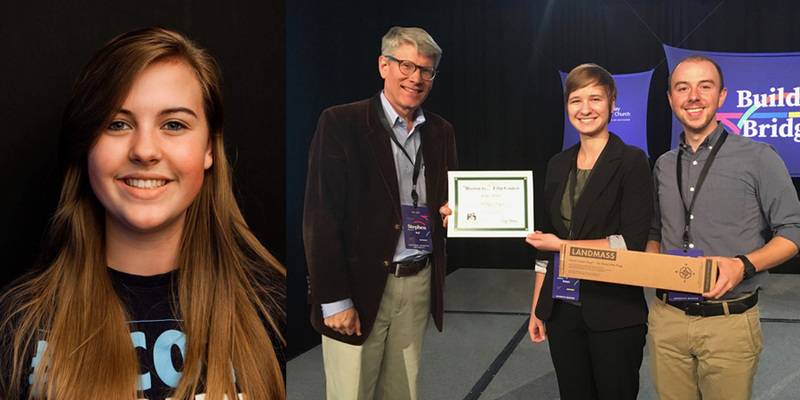 Additionally, Madelyn Rogers, a student at Southern Adventist University in the United States, received the Judges’ Choice Award. Her prize was a Landmass Travel Tracker Map, which professor Stephen Ruf accepted on her behalf. Rachel Fortunato of Montemorelos University placed first. Libna Stevens of Inter-American Division accepted her award. Madai Villa-Coppiano of Andrews University placed second. Professor Paul Kim accepted her award. 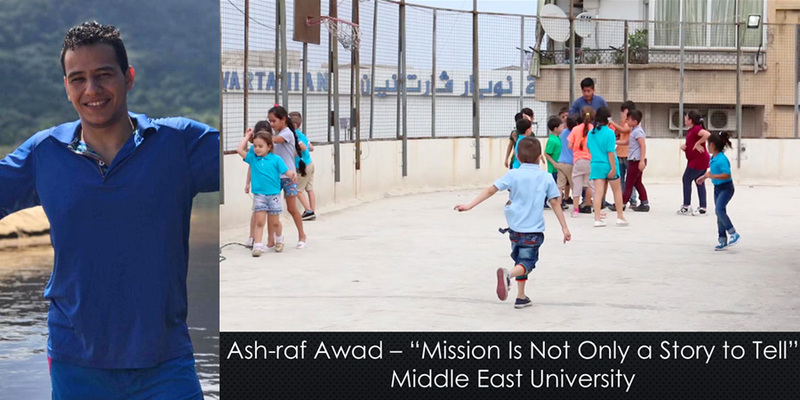 Ash-raf Awad of Middle East University placed third. Madelyn Rogers of Southern Adventist University received the Judge’s Choice award. Professor Stephen Ruf accepted her award. Adventist Mission believes that films showing mission work and how God is changing lives are important tools for evangelism and building faith. That’s why Adventist Mission produces the Mission Spotlight and Mission 360˚ short films that churches across the world watch each Sabbath. The goal for the contest was to inspire mission-minded young filmmakers to express their feelings about mission and its importance in today’s world. The “Mission is…” film contest was launched on April 7 at the Sonscreen film festival in California, United States. Students from all over the world were encouraged to submit 30-second films that expressed what they think mission is and why it’s important. Entries were accepted until September 4. Then the top 10 entries were selected by a judging panel, comprised of Chanmin Chung, Jennifer Stymiest, Stan Jensen, Samantha Wahlen, Matthew Siliga, Earley Simon, and Ricky Oliveras. These 10 films were put online at AdventistMission.org/missionis, where the public could vote for their favorite films. Voting closed on October 15. Mission Spotlight films can be found at MissionSpotlight.org. Those interested in seeing the film created with the help of the 1st-place winner can sign up for the Mission Spotlight email newsletter to receive quarterly alerts when new films are posted online.